Posch & Silva Moving Solutions is a removal company based in the Northern beaches of Sydney. Our company was created from the desire of changing people’s negative perception of the removal industry by providing exceptional customer service. We aim to deliver an affordable, efficient and reliable service, therefore ensuring our customers will always be satisfied. With large experience in the moving industry, our team of skilled and friendly moving specialists will look after your belongings as if they were our own. 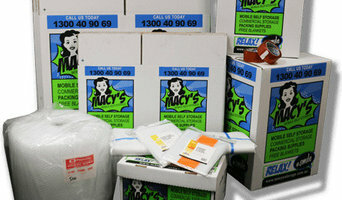 Macy's Mobile Self Storage is based in Sydney, Australia, delivers self storage solutions that fits in with YOUR busy life… not ours. Designed to exceed your expectations,the MACY’S mobile modules will keep your belongings safe and protected. Supercheap Storage is a trusted, authentically Australian storage provider adaptable to any almost any scale of space imaginable! Whether you're moving, renovating or wish to free some extra valuable space, Supercheap are here to help - we operate Australia wide! Your trusted local Campbelltown furniture removalists Your local furniture removalists Campbelltown, Ingleburn, Narellan and the broader Macarthur area since 1988. As your practiced local we have become extremely efficient in the management of your move, so we do things a little bit different. Our experience and knowledge enables us to provide you with a fixed price move over the phone, not an hourly rate, so you know the cost upfront and that is confidence in our work. We have been servicing the south-western suburbs of Sydney for well over 20 years. Our aim is to provide quality local furniture removalists to the Macarthur and Leppington regions. During this time we have stayed true to our values and have worked hard to build a reputation for providing an honest and reliable team of removalists to our local community. As your practiced local we have become extremely efficient in the management of your move, so we do things a little bit different. We are a small dedicated team that really believe in old fashioned service, not the fancy frills, but a personalised and quality removalist service. We take the time to collect the right information to better understand your needs and to make your move as smooth and as stress free as possible. Being in the furniture removal industry for such a long time has seen us move more than 8,000 families into their new homes. Our experience and knowledge enables us to provide you with a fixed price move over the phone, not an hourly rate, so you know the cost upfront and that is confidence in our work. Affordable Pallets offer convenient, cost-effective and durable wooden pallets, as well as many other shipping and storage products across Sydney. Contact us for details. In addition to our selection of wooden and plastic shipping pallets in Sydney, we also carry an excellent stock of second hand pallets and wooden crates for shipping as well as other timber products for shipping and storing almost anything. At Affordable Pallets, we will help you ship your goods in an affordable, safe, and secure manner. Platinum Removals: Sydney’s Leading Removals Company for Office & Home Relocations Moving home or office in sydney? platinum removals are relocation specialists who can get your home or office move done with minimal downtime. From the beginning to the end you can count on our integrity as a leading Sydney removals company with over 4 years’ experience in the industry. We work closely with you to create a moving package that is tailored to your specific needs. Our choice of home or office removals services allows you to determine the level of involvement you’d like to have in your own move. On the moving day our friendly, professional and trained removalists wearing Platinum Removals uniforms will arrive on time at your door step ready to get to work. Led by an experienced crew chief, our movers are carefully screened and given the knowledge and tools to get the job done right and efficiently. Platinum Removals was built on honesty, integrity and professionalism. It’s in this spirit that we continually look for new ways to cultivate your confidence and bring you the very best moving service we can offer. To us, moving is a science. We believe every transition should be a convenient, affordable and pleasant experience, which is why we appreciate the opportunity to make every client’s new beginning, a great one. So for your next office removal or home removal, contact Platinum Removals and experience the Platinum difference. Experienced, professional removalists looking after you every step of the way. From moving a few boxes between apartments, to large and complicated residential, commercial, industrial relocations and deliveries, our friendly and professional staff look after you every step of the way. Fast Removalists Sydney is the leading furniture removal company in Sydney. We have over 25 years of experience in this industry and served many customers. We help our customers to move their home and office furniture from Sydney to Melbourne, Canberra, Brisbane, Adelaide and Queens Land. At Morgan Removals we are a professional team providing a full range of quality services including: Home, Office & Furniture removals. We service all off Sydney metropolitan areas, plus Blue Mountains, Central Coast, Canberra and Wollongong. We also can provide you with experienced staff on the day if any assembling or disassembling is required for your furniture. 10 Reason to use Quick and Easy Removals Expert Local Residential Removalists: Our furniture professionals are highly skilled and trained to ensure your items are taken care of efficiently and to the highest standard. Interstate Removals: Moving interstate? At Quick and Easy Removals, we’ll haul your goods to Brisbane, Melbourne and country areas, no problem. Office Relocations: We’ll move your entire office on the weekend or overnight and have you back up and running in time for the next working day. Multiple Trucks: We offer dozens of trucks in a range of sizes, so you’ll always get the most affordable truck for your needs. Cheapest Rates: Starting at $23 per half hour for one man and a truck, our rates are the lowest in town – but we never compromise on quality. Precious Goods: From upright pianos to marble statues, we’re experienced in moving precious goods and will treat them with the same care that you would. Trust: Thanks to our affordable rates, friendly service and high levels of customer satisfaction, we are one of Sydney’s most trusted Removalists. Pre-Packing Service: Allow us to take all the stress out of moving by packing your goods as well as moving them. Moving Only a Few Items: If you only need to shift a few items, or maybe even one or two items, we have the service for you. Super popular with eBay buyers! LET THE NORTHERN BEACHES REMOVALISTS AT JOHN BULL MOVE YOU! 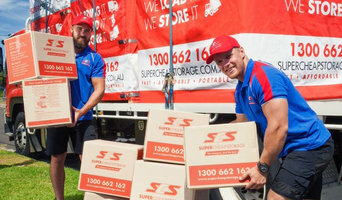 Looking for a removalist on the Northern Beaches of Sydney, talk to the specialists at John Bull Removals and Storage. John Bull Removals and Storage was started as a family business in 1960 and continues to be the most trusted name in Northern Beaches removals. 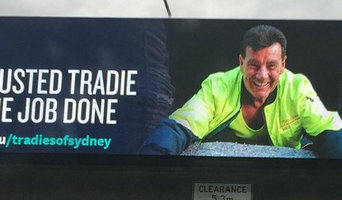 No need to look any further; you have found your Sydney removalist! John Bull was established with the ambition of providing the highest quality removals in the Northern Beaches. We specialise in local removals, packing material & pre-packing, interstate removals, office moves and storage solutions. Service is paramount to our success and it shows in our glowing customer reviews which you can see here. At John Bull Removals & Storage we understand that moving can be daunting and stressful, we provide a service to minimise that stress and our professional removalists in Sydney’s Northern Beaches will ensure that your belongings are treated with the utmost respect. We have a diverse fleet of vehicles equipped for the smallest moves through to the biggest. John Bull removalists in the Northern Beaches understand that every client has their own specific requirements and expectations when it comes to their removals and storage. We are here to take the stress out of your move so that you can concentrate on enjoying your new home. We are pleased to be able to offer some of the most competitive removalist prices in Australia, we also offer a quoted price on your move or you can choose to be charged at our hourly rate. We guarantee that you will not be disappointed by the service provided by our professional removalists. Boomerang Box is dedicated to ensuring a great service is provided with as little cost as possible to the environment! Their packing boxes are actually made of recycled plastic - and that makes the customized containers extremely strong and durable. Besides being able to withstand hard pressure and its ability to carry heavy weights within, the boxes are also stackable up to 4 - 5 units high! Moving companies love to work with Boomerang Box because of the wonderful ease of loading and unloading them into their transport vehicles! Find companies in Waterloo, New South Wales that provide storage or moving services on Houzz. Scroll through this page to find a home removalist storage solution in your area. Just enter your suburb at the top of this page to narrow your search. Get contact information or message professionals directly so you can ask about rates, and read customer reviews.